The Acwa Power International chief executive Paddy Padmanathan confirmed his company is the low bidder on a US$1 billion project that will feed electricity to the grid for the Dubai Electricity and Water Authority between 4pm and 10am. More such plants are likely to follow because Chinese companies will start driving down the cost of equipment, he said. 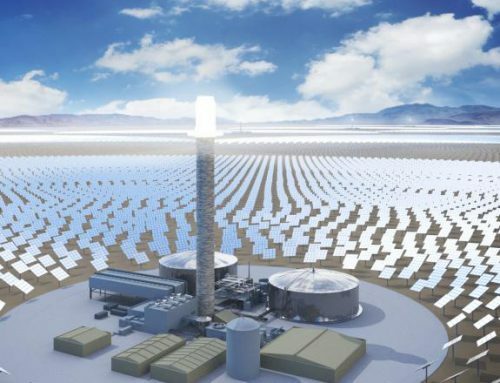 Acwa, which is based in Riyadh, Saudi Arabia, bid 9.45 cents per kilowatt-hour – a figure first reported by The National last month – , almost cutting in half the cost of concentrated-solar power (CSP). Each of the bidders were also asked to submit an alternative tender. The off-taker will choose between the bid and the alternative bid, so the price may be even lower. 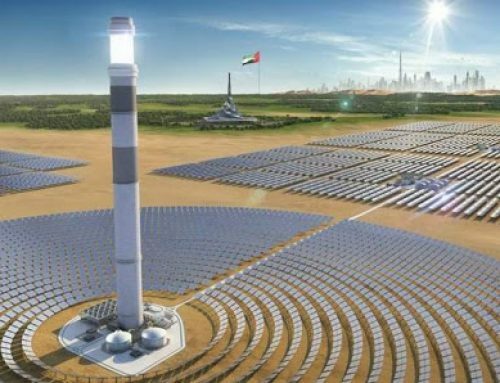 The 200-megawatt Dubai contract, which runs for 25 years, will harness the two-decade CSP technology, or solar thermal. 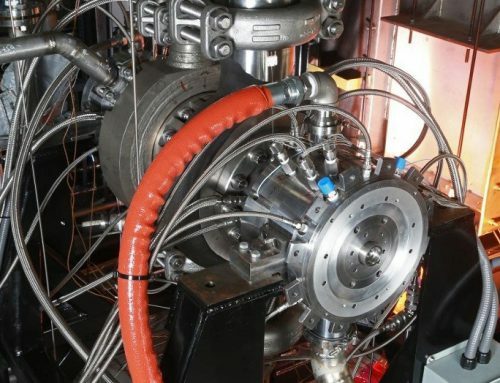 Unlike photovoltaics (PV), which generate a charge directly from the sun’s power, thermal plants use mirrors to concentrate heat on water, turning it to steam to drive a turbine. 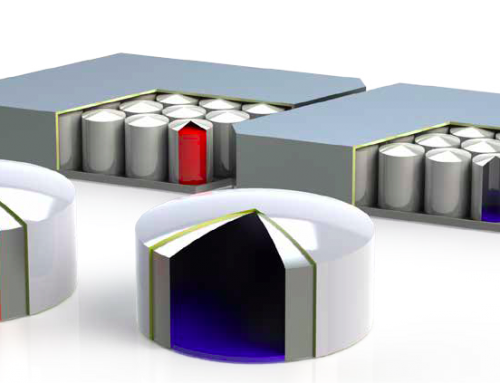 The heat can be stored in molten salt to be used later. The technology to date has slipped behind PV on cost but is quickly becoming more competitive, the executive said. Since it can retain heat, the plant can keep working after dark. 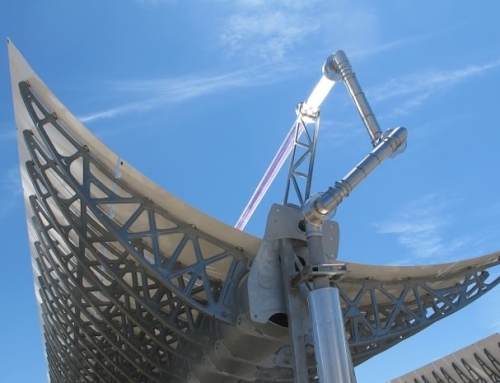 The sun’s energy in some cases can heat molten salt to 490°C, which allows operators to predict when electricity will flow. There are 319 gigawatts of photovoltaic panels installed worldwide, compared to about 5 gigawatts of solar thermal, according to Bloomberg New Energy Finance data. The mass deployment has driven down costs of solar panel equipment by about 70 per cent since 2010, with the latest record set in Abu Dhabi at 2.45 US cents per kilowatt-hour. In comparison, solar thermal was around 15 to 18 cents per kilowatt-hour until recently. China hosts 80 per cent of the world’s PV solar manufacturing industry. The nation’s expertise at mass production is credited with making solar panels more affordable, although companies are now reviving work on thermal technology. Acwa has also built similar projects in Morocco’s Noor solar complex and South Africa’s desert. One is operating in each nation, with two more in Morocco and one in South Africa currently under development. Acwa is also seeking to build two more projects in Morocco in the Midelt area, which will have a joint capacity of 350 megawatts.